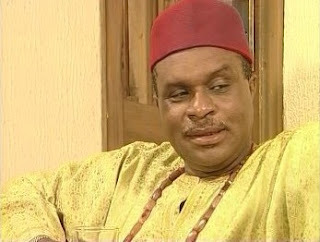 April 20, 2011 – Nigerian Actor Ashley Nwosu Died this morning after spending a few weeks in the hospital battling severe liver problem. Ashley Nwosu died barely 24 hours after he fell into coma at the Military Hospital, Yaba, where he was been treated for severe liver problems on Wednesday. Actor Kanayo O. Kanayo and celebrated film director, Lancelot Oduwa Imasuen confirmed his death . “It is very shocking and sad indeed. The industry has not finished mourning the sudden death of the comedian, C John, before another death occurred. I’m heart broken.” lamented Lancelot. It was however gathered that Ashley was in a critical condition before he finally gave up the ghost. One of Nollywood’s first generation actors, Ashley Nwosu most often played the role of husband, Dad, Pimp or ‘Sugar Daddy’ bringing to bare his sheer excellence and talent on screen. He has starred in countless number of movies including; ‘Endless Night’, ‘Between Two Walls’, ‘Power Brokers’, Foreign Affairs, Gift from the Grave, Lagos Babes and Ghetto Love. Another one has gone,what is happening in nollywood. Oh mr ashley we miss u. Struggling To Stay Motivated? Don’t Give Up Now. You Were Born For This! Jasmine on Struggling To Stay Motivated? Don’t Give Up Now. You Were Born For This!